Hello all! Welcome back on this beautiful Tuesday! Please help welcome back Drew and Addison to the blog! They are frequent fliers of Holly Haddad Photography, which I love! Thanks mom for allowing me to capture your precious little ones! They are so totally adorable and so much fun to photograph! Check out some of their past shoots here, and here (and there’s even a session or two i didn’t blog! gasp!)! And now here’s a baby in Sperry’s and a tie for you to enjoy! 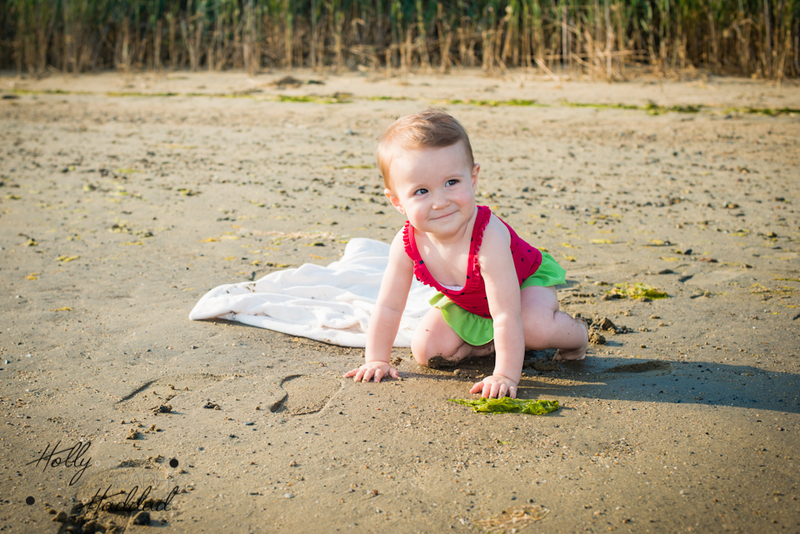 Personal… Elise is already one! Yup, my own daughter has turned one. I am mom to a toddler. Say what?! Can you tell I’m in disbelief? Besides that, I’m SO GLAD that I have done her monthly shoots. I’ve complied them into a super short video, which I will post below. I also shot her cake smash with the “You Are My Sunshine” theme. Big thanks to my sister Heather for her cake, Jennifer from Confetti Grove for the awesome clouds garland background, and My Lil Sweetie Boutique for the super cute headband! Also her tutu was made by my good friend Charli over at Twinning with a Toddler, that is both two month and twelve month tutu’s! Gotta love Etsy for its amazing custom products! Enjoy and Happy Hump Day! Gah – one of my fav’s! He recently turned one year old and we took that opportunity to get a few family photos in as well as some of just Mason… and his cake smash! Been editing like crazy so there will be tons more posts coming! Meet Madison! It was recently her first birthday so we got some sweet photos and a fun lil cake smash! She is quite the lil sweetheart! Be sure to “Like” Holly Haddad Photography on Facebook so you can see all of the great teasers and sneak peaks that the Unsubscribed miss out on! Next up for today is Mr Liam! I’m getting a lil nervous, I keep seeing the sky get less dark and I’m nervous the end is near… hahaha THE SUUUUN! Yessah! Speaking of sunshine, lil Miss Daisy here is quite a ray of sunshine herself! At first she was a lil shy but slowly she came around and gave me some big smiles! Daisy very recently turned one and wanted nothing to do with her giant cupcake at the her party. LOL – so mom suggested round two… and it worked! She totally got into it and made a ridiculous mess, cake flying, smooshed, and everything but eaten! What a cutie pie and what a fabulous dress she had on! Thanks so much for letting me photograph your lil ray of sunshine! She’s awesome! Enjoy! Here are some images I got from a shoot a few weeks ago. There were three lil cuties, Emma, Ava, and Addison, two cake smashes, and one busy photographer! Emma and Ava did cake smashes for their first birthday, while Addison got in a few photos in her Christening dress and a couple with mom and dad! All in all it was a fun day and we got lots of great images to prove it!